shrimp | What's Cooking at the Genua's? Today is all about me venturing into the realm of the large wonton wrappers! Yes I have now graduated from the small ones to the big ones! I have to admit, I was a little scared of not rolling them right, or having the filling ooze all over the place. But my fears were for naught! I had seen this recipe on an episode of Hungry Girl and I figured it looked easy enough so I tried it! They were such a success I made them two nights in a row for dinner! Yes, they are usually an appetizer but who says they have to be? Now this recipe calls for scallions and bean sprouts. I was out of both of them so I left them out in this batch. Still came out awesome! The best part of this recipe is that they are baked, not fried! Saves a ton of calories (each roll is about 100 calories) and they still come out crispy and yummy! I ended up using the whole package in two days so I have to restock my supply of large wrappers. Remember you can find them in the produce department in the Asian section. Even Walmart’s produce section has them! They are so easy to make and you can substitute anything you want in them. Not a fan of shrimp? Use chopped cooked chicken or chopped cooked pork. These are great for getting rid of leftovers in the refrigerator! Just make them into an egg roll! I doubled the original recipe (it was an accident actually so I made it work) therefore, this makes a lot of filling. I got about 20 egg rolls out of it. No leftovers! Put slaw mix into a large microwave-safe bowl with 4 tablespoons of water. Cover and microwave on HIGH for 2 minutes. Drain any excess water. Add the rest of the ingredients (except for the wrappers of course). Mix well and set aside. You can set it in the fridge to marinate for about 20 minutes for a better flavor. Using a large baking sheet spray lightly with nonstick cooking spray. Set aside. Using a clean, dry surface place a wonton wrapper. Evenly distribute about ½ cup of the mixture onto the wrapper, just below center, in a row. Moisten all four edges of the wrapper by dabbing your fingers in water and running them around the edges smoothly. This will help the wrappers stick better. Fold the sides of the wrapper about 3/4 inch towards the center. This keeps the mixture from falling out of the sides. Next, roll the bottom of each wrapper up around the mixture and continue rolling until you reach the top. Seal the outside edge with another dab of water. Go slow at first till you get the hang of it. It’s actually pretty easy. Carefully transfer to prepared baking sheet. Repeat until you have made enough rolls. Keep the surface you are working on, dry and clean. Spray the tops of the egg rolls with nonstick cooking spray. Sprinkle with sesame seeds if you wish. Bake in the oven for 25-30 minutes, until golden brown. I baked for 30 minutes. Allow to cool slightly and serve! Be very careful as they will be extremely HOT! We cut them in half to let steam out before eating. I also made my own sauce using Mikoto ginger dressing and some soy sauce. Delish! Enjoy! Normally when see “bisque” on a menu I automatically think of all the fat and calories in it. Don’t get me wrong, it’s usually delicious but I can’t take all those calories. This recipe is a lighter version and it’s very easy to make. A great soup for a cold wintry night after a long day of work. Serve it with a nice crusty loaf of bread and it can be a meal in itself. I use fat-free products in this but feel free to use the regular versions. 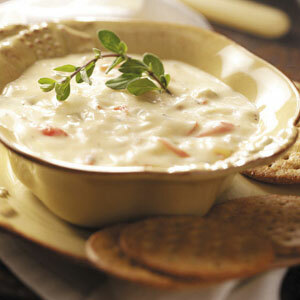 For a variation you can substitute shrimp or lobster meat for the crabmeat also. 1. In a 2-quart saucepan, stir together the soup, crabmeat and milk. Heat through. 2. Add the sherry and heat until hot, but do NOT boil. Garnish with chopped parsley. 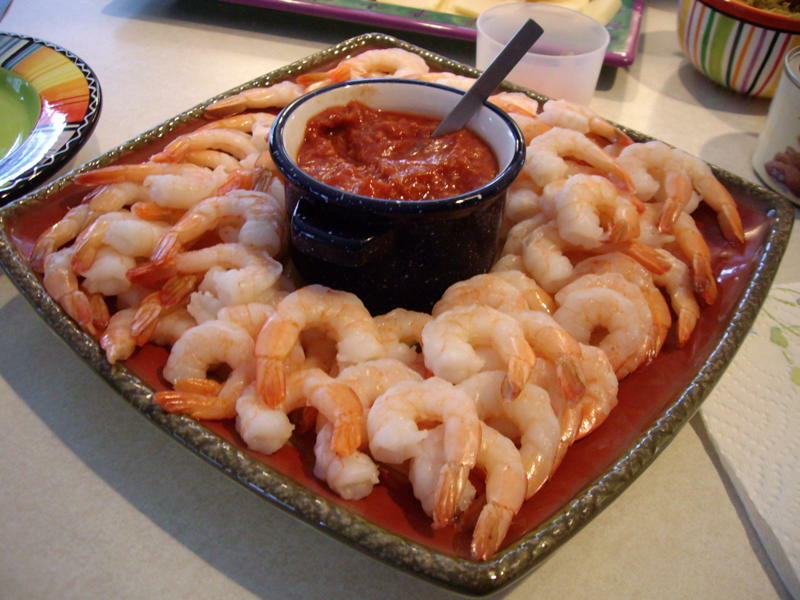 **VARIATIONS: Substitute 1 can (4½ ounces) deveined shrimp, rinsed and drained, for the crabmeat. Or 6 ounces cooked lobster meat for the crabmeat. Makes about 3½ cups or 2 moderate servings.